The FS700 is equipped with a new 4K Exmor Super 35 CMOS sensor (Total 11.6 million pixels) capable of cranking at up to 960 frames per second. This high-speed readout chip is optimized for motion picture shooting, producing exceptional image fidelity with high sensitivity, low noise and minimal aliasing. The FS series cameras E-mount is designed to accept virtually all 35mm SLR, DSLR and cinematography lenses, with the use of simple, inexpensive third party adapters sold separately -without optical degradation-. FS series camera owners are able to continue to use their existing 35mm lenses and add more lenses without being limited to a particular lens brand or mount type. 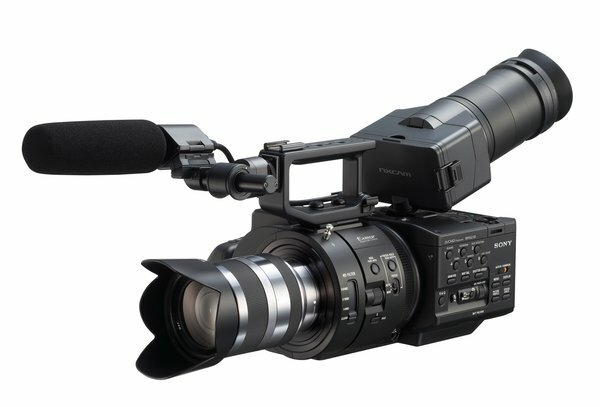 Sony is planning a future firmware upgrade that will enable the NEX-FS700U to output 4K bit-stream data over 3G HD-SDI when used with an optional Sony 4K recorder. Time frame/price for this planned upgrade has not been determined.